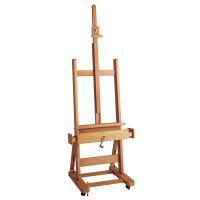 H-Frame easels get their name because they look like the letter 'H'. 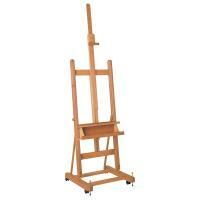 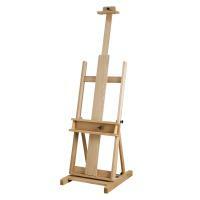 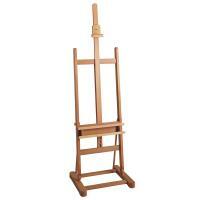 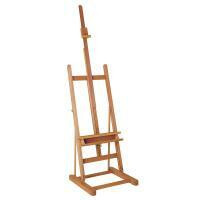 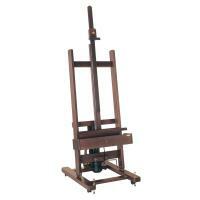 These are usually the largest and sturdiest of all easels with their solid base and robust frame. 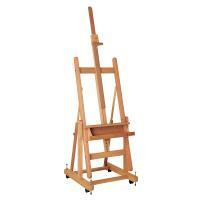 They don't usually fold up and so take up a lot more space than other easels when storing. 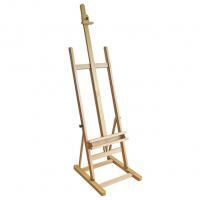 If you have a dedicated studio then a H-frame easel makes a great investment as they are more stable and allow you to paint on larger canvases than other studio easels. 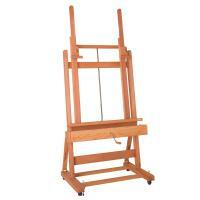 Some H-frame easles feature a crank handle which enables you to easely move the canvas rest up and down.